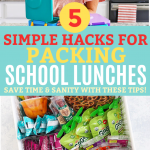 My Top 5 (Time & Sanity-Saving) Hacks for Packing School Lunches – here’s what I do to save time, energy, and sanity while packing school lunches every day. I really don’t want to spend a long time on this. I love (LOVE!) my children, but the last thing I want to do at the end of/start of the day is make a highly intricate, fancy-shaped lunch on top of whatever other dinner/breakfast I’m working on. If that’s your jam, YAY! If it’s not, you’re not alone. I’m looking for easy-to-make, reliable lunch ideas that I can get done FAST. I get into a rut. If I’m not thinking about it, I can easily make the exact same lunch for my kids every single day. That’s totally fine in a pinch, but providing at least *some* variety is a great choice nutritionally (more varied food = more varied nutrients), for expanding their palates (more exposure to new foods = more accepted foods), and keeping things interesting (no need to be bored!). You don’t have to spend time meticulously cutting cute shapes into slices of cheese to be a good mom. Your child will be happy to have a yummy lunch to eat! This also means don’t stress about it being a “perfect” lunch. 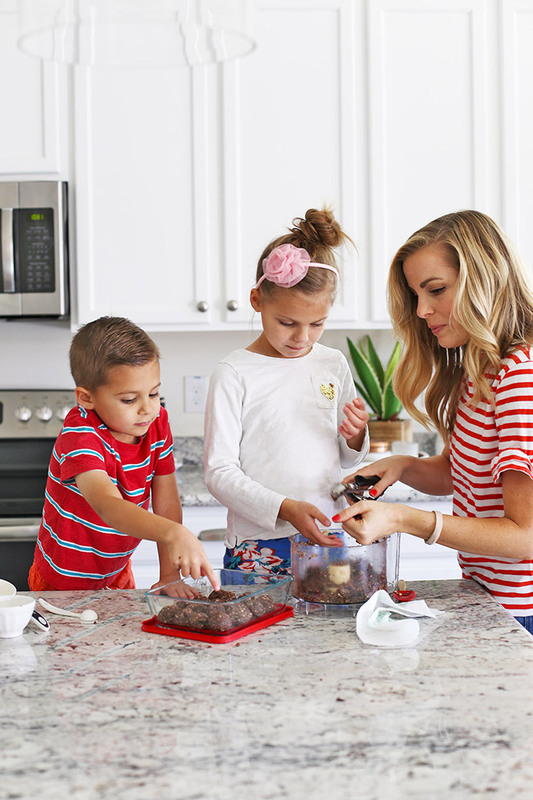 I’m a health-minded mom with quite a bit of training and schooling in nutrition (my degree is in Public Health with an emphasis in Nutrition and Fitness), but I also don’t get panicked if my child has chocolate chips in their trail mix (sugar–gasp!) or some pretzels or chips here and there (empty calories–I know!). Nutrition is cumulative. Your child will get their nutrients over the course of days and weeks from the different foods they eat. It’s okay if every single meal isn’t “perfect.” Just aim for a general trend of balanced choices. Do the best with what you have, when you can, and let go of the rest. 2. Consider making lunches at night. Schedules are BUSY with sports, work, school activities, homework, etc. I get it. And often the thought, “it’s so crazy. I’ll just do it in the morning.” pops into my head. But, at least for me, putting making lunches off till the morning somehow doesn’t make them any easier/quicker to face. And often actually makes it feel even crazier because of the time crunch to get everyone dressed, fed, and out the door on time in the morning. At our house, we make lunches while we’re cleaning up dinner. My husband will work on dishes and I help Milo and Sophie pack their lunches. That way we’re not creating a mess in between meals, and we can get all of it taken care of at once. This is not a hard and fast rule, but it’s at least something to consider if you’re feeling a time crunch. Any time you can spend in the evening will give you more time in the morning. 3. Include kids in the lunch-making process. At our house, we all clear the dinner table dishes and, while my husband loads the dishwasher, the kids and I get started on lunches and snacks for the next day. That means we’re saving time by not making an extra mess in between meals (the clean-up gets rolled into the dinner clean-up!). I shared this in our lunch ideas post, but when packing our lunches, we shoot for a rough formula for a balanced meal. With our basic formula, I don’t worry about making a brand new lunch every day. I only choose 2-3 kinds of lunches to pack each week. It’s certainly not rocket science, but it helps us figure things out and still gives kids plenty of choice. If Milo wants a sandwich and chips, I’ll tell him to choose a fruit/veggie. When Sophie wants yogurt and strawberries, I’ll ask her if she wants granola or muffins to go with it. If we’ve got dinner leftovers from the night before, I can use those as my starting point and ask the kids to choose some things to go with it. 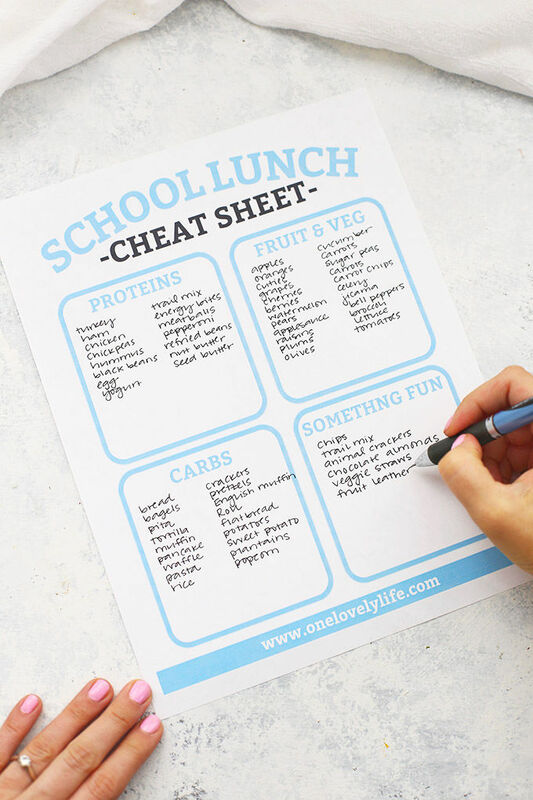 You can get a free printable cheat sheet of our lunch formula and all the tips for how we make that work here. 5. Make it easy for kids to help. 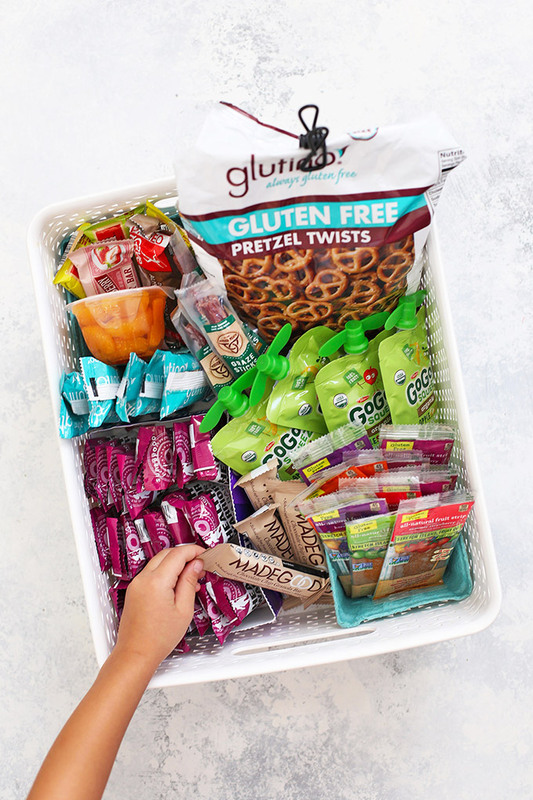 Keep a basket of grab-and-go items in your pantry or set aside a lower section of your fridge with options your kids can easily grab. Make it as easy as possible for your kids to be involved. 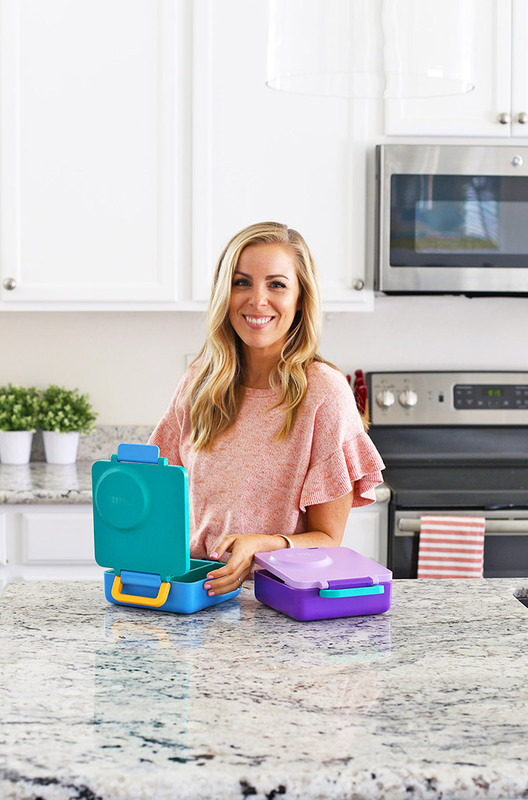 Earlier this week, I shared all our favorite lunch boxes and reusable bags. 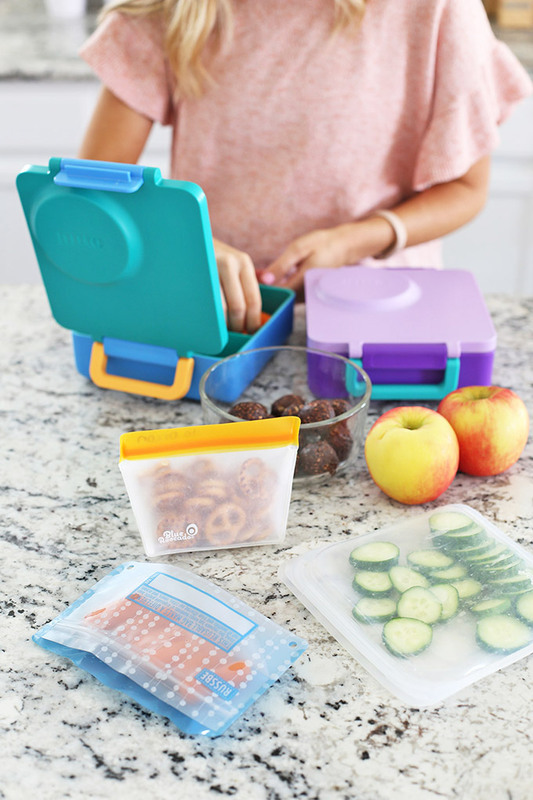 Having lunch boxes that are divided makes portion sizing and lunch building as easy as possible. Using the already-divided lunch boxes and our little formula for packing school lunches means that it’s really easy to fill in the blanks. I also moved our lunch boxes and reusable bags to a lower cupboard so my kids could easily grab theirs when it’s time to pack. They’re also responsible for emptying their used lunch box each day. Anything they can do to help means one fewer thing to worry about! BONUS: Feel free to give yourself a day off. No shame in the sanity-saving game! 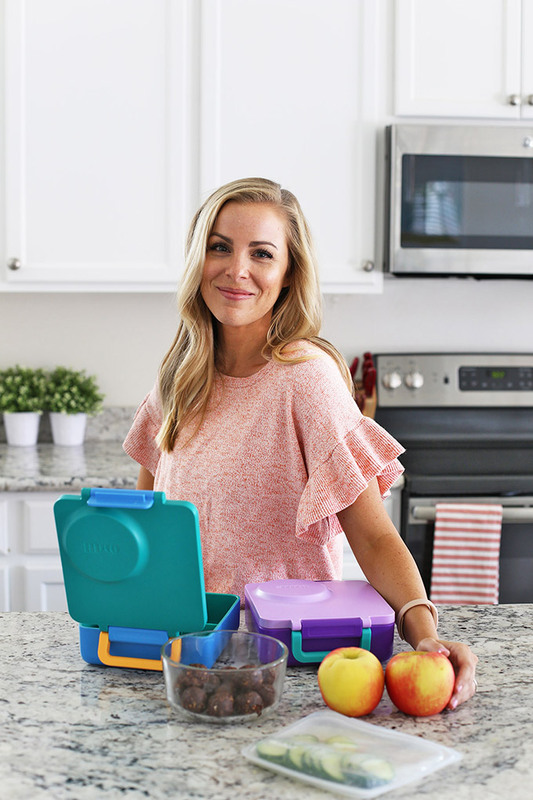 With our gluten and dairy intolerances, we can’t do hot lunch or something like Lunchables, but I have a few tried-and-true easy lunches I KNOW my kids will eat, and I don’t worry at all about working those into the routine on the regular. Don’t stress about using some store-bought shortcuts, pre-portioned snacks/produce, dinner leftovers, or what your school has to offer! 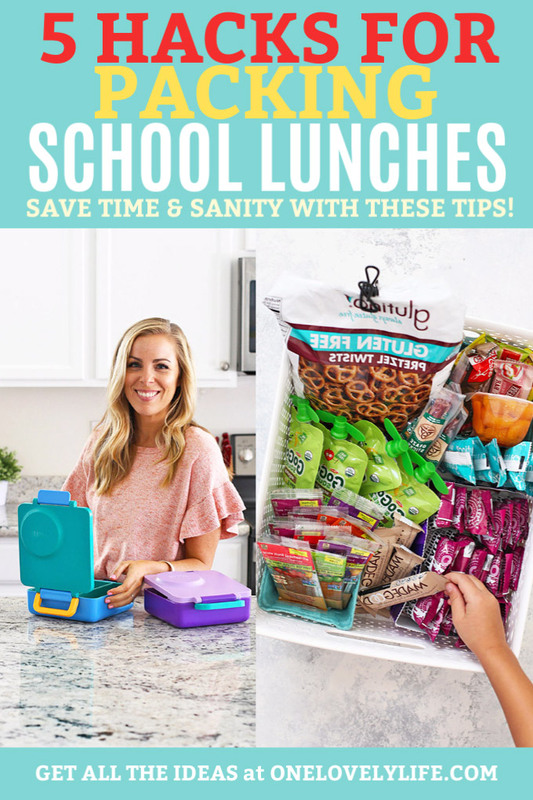 Now that you’ve read my favorite sanity saving tips for packing school lunches–what are YOURS!? PS – Want more? Sign up for my free newsletter to access to even more tips, tricks, and recipes to get you on your way! Mine are teens and we all still struggle with packing our school lunches. I always start out with the intention of packing the night before but then get lazy. Where is the cute pink ruffle sleeve top from? Thank you so much! The shirt is this one. I really like it! Oh, manny! My child eats almost the same thing for lunch every single day. It’s pretty healthy (fresh fruit, veggies, cheese stick, gogurt, maybe some crackers and always an apple for snack). How, how do I get him to try something (anything!) new? When we’re settled again, I’m going to use your printable and let him choose what to pack from the list. So I just answered my own question—and thank you for providing the answer! The last 2 years I packed my son’s lunches on Sundays during my meal prep (I always make 4 and he buys one day). This year my daughter is starting kindergarten, so I’ll have twice as many lunches to make. I may do 4 on Sundays (2 each) then repeat on Tuesday/Wednesday evening. We shall see. One thing I have realized is to not stress over the complexity or how balanced it is. I have learned that veggies generally come home uneaten, but he will always eat fruit. PB&J is a staple as well. They eat pretty well the rest of the time, so my main goal is to pack something they WILL eat so that they are fed and happy. I also have the rule that they can’t throw food away – they are instructed to bring it home. This helps me monitor what they will and will not eat at school. Plus if they get off the bus “starving” they have to finish any uneaten lunch FIRST. 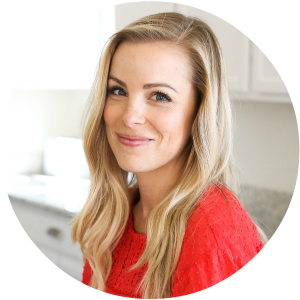 Taryn – Great tips! We’re in the same boat with veggies/fruit. I know that the fruit will almost always be eaten and the veggies almost never will. I try not to worry too much about it!